Hemp seed oil comes from the tall growing varieties of cannabis, however, it does not contain THC, the primary psychoactive compound in marijuana. 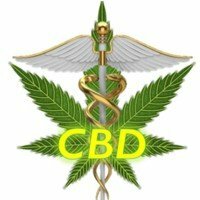 Research has shown that hemp contains essential amino acids and essential fatty acids, as well as a unique protein called globule edestin which is similar to globulin in human blood plasma, and hemp seed oil exhibits powerful anti-inflammatory and antioxidant properties. Hemp oil is also considered to be one of the most balanced nutrition oils found in nature and it is also easily digestible, so the health benefits of hemp seed oil for health, as well as beauty, are unquestionable. Extracted from the seeds of the hemp plant, hemp seed oil is a kind of vegetable oil that is popular in Eastern cultures. It contains a great deal high-quality nutrients, is very low in saturated fats and contains a wealth of phytonutrients and healthy fats, making it an ideal superfood. Hemp seed oil has a 3:1 ratio of Omega-6 to Omega-3 fatty acids, a balance that has been shown to promote proper cardiovascular function and may help prevent a number of degenerative diseases. Studies have indicated that hemp seed oil can dramatically decrease skin dryness to alleviate itching and irritation, and the antioxidant and anti-inflammatory properties may even protect against the ageing process. Hemp seed oil contains essential fatty acids, including docosahexaenoic acid (DHA), that are required for brain development, and are crucial to the health of the brain as well as the retina of the eye, particularly in the first year of life. Mothers who supplement with hemp seed oil during pregnancy may provide brain- and eye-protective benefits for the developing baby. Fish oil supplements increase omega-3 fatty acids in your diet, and expectant mothers certainly want to include these nutrients in their diet, however, fish often contains mercury which can hinder neurological and developmental mechanisms in the unborn baby, and hemp seed oil is an excellent alternative to traditional omega-3 fatty acid supplements. The essential fatty acids in hemp seed oil promote healthy intestinal flora and support immune system function. An Italian study showed that chemotherapy along with omega-3 fatty acid supplementation was found to be an effective strategy for treating cancer. According to another study conducted by the University of California, regular intake of omega-3 fatty acids can significantly reduce the risk of breast cancer in obese women.